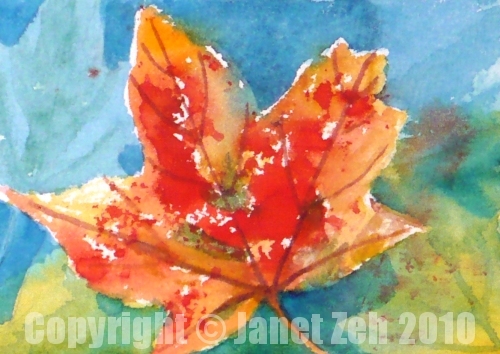 Who can resist picking up a colorful maple leaf or two when out for a walk in Autumn? I cannot! Today I came home with a handful. The trees are just beginning to turn - brilliant reds and yellows are appearing among the green leaves here and there. 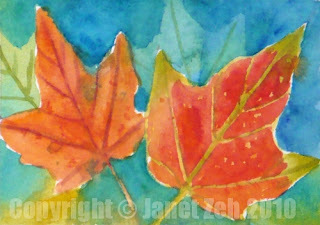 These two paintings have been sold, but you can see my small paintings currently for sale at ZehOriginalArt.com. Thanks for stopping by and have a lovely day!